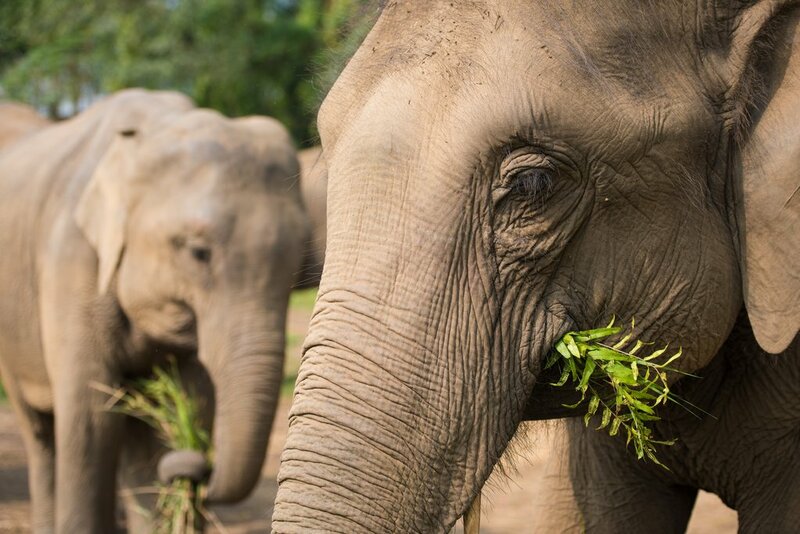 During this experience of visiting the elephants in the park, you will follow the elephants into the grasslands beside the river, where the mahouts cut and collect the grass for the elephants to eat during the day. While watching the elephants grazing in the morning mist, you can enjoy a steaming cup of traditional Nepali tea. 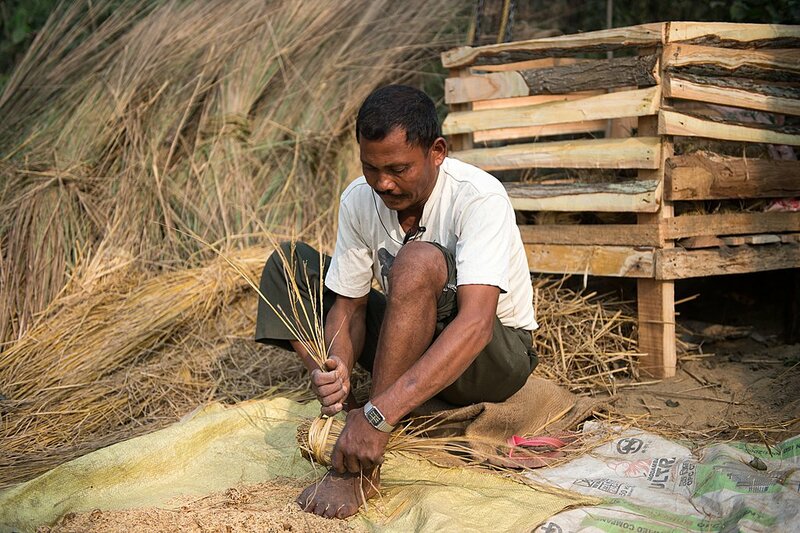 You can even have a go at cutting and binding the grass yourself—it’s harder than the mahouts make it look! 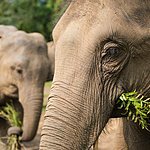 In the late afternoon, when the temperature is pleasant, go for a walk in the jungle with the elephants and their mahouts. 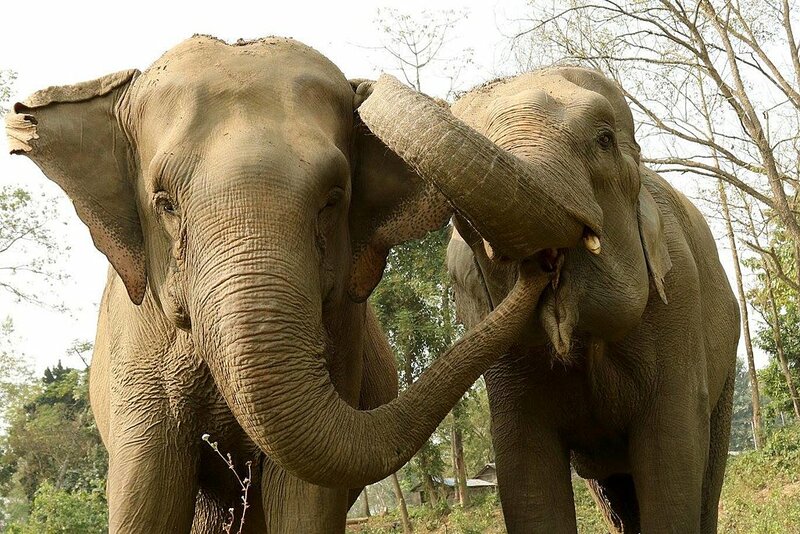 You will be walking alongside the elephants, watching how they move, what they eat, and listening to their communication, which consists of rumbling and trumpeting. The naturalist will explain everything you want to know about the surrounding eco-system as you move through the jungle, grassland, and wetlands with the elephants. You'll have the chance of encountering tiger tracks, deer, various species of birds, and maybe a rhino or two, depending on the route you take. You'll be surrounded by elephants living in a spacious, chain-free environment. 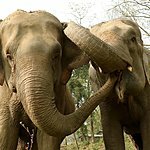 You'll be immersed in the elephants’ daily life all day; even after dark, you will feel the elephants' presence through their verbal and infrasonic communications. 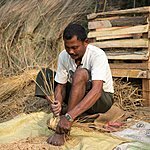 Mixing outdoor and jungle activities with a healthy dash of comfort and service, this trip will take you through the best of Nepal—with time for both adrenaline rushes and relaxation. The adventure starts in Kathmandu with a flight over the mountains, continues to the country's oldest temples, and leaves time for views of the Annapurna range, where thirteen peaks scrape the sky. Two days of rafting send you through the jungle to finally discover the abundant wildlife of Chitwan National Park. This tour combines three of Nepal's most famous regions—Everest, Pokhara, and Chitwan. You'll start with a short multi-day trek into the heart of the Everest region to Namche Bazaar for views of Mount Everest. Returning to Kathmandu, you'll fly to Pokhara for a bit of relaxation and optional day tours into the surrounding hills. Finally, you'll head south to Nepal's jungle in Chitwan, to experience the wildlife and unique cultures of this region. 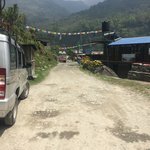 This tour takes you into the heart of the Everest region, staying in Sherpa villages along the way, including a spectacular helicopter flight by Mt. Everest. Then, you'll head south to Nepal's jungle and to Buddha's birthplace in Lumbini. To break up the drive from Kathmandu to Chitwan, you'll take a short rafting trip and overnight at a cozy resort in the village of Kurintar. This multi-activity tour is a perfect combination of adventure and culture featuring historic villages, wildlife, and some down time. You'll explore the Kathmandu Valley's popular attractions before flying to Pokhara to begin your multi-day trek through the Annapurna foothills. Meet Gurung locals, visit beautiful Namo Buddha, raft whitewater, feed elephants, and safari in the famous Chitwan National Park. This adventure combines the Himalaya with the jungle. You'll trek to the foot of the tallest mountain in the world and then reward yourself with a relaxing getaway in the jungle of southern Nepal. During the trek, you'll pass through traditional Sherpa villages and Buddhist monasteries with great views of Cho-Oyu, Lhotse, and Ama Dablam. 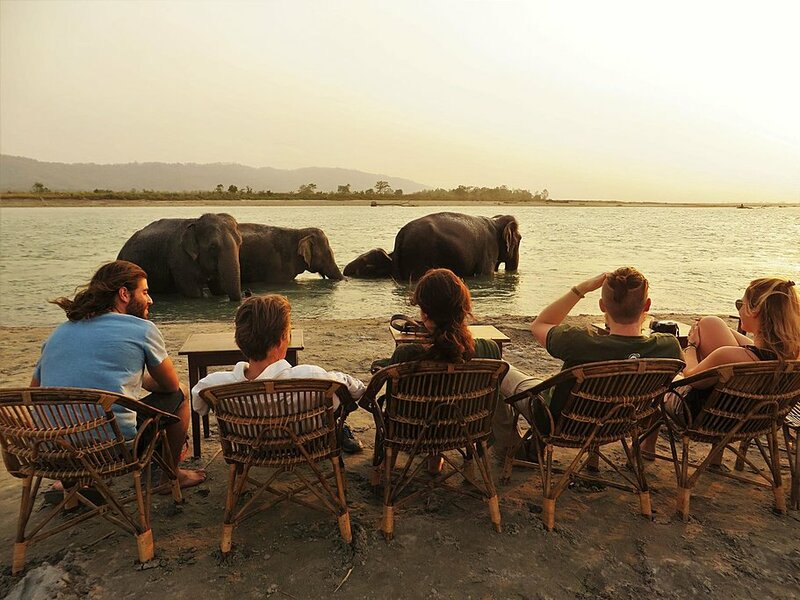 Then, you'll fly to Chitwan to spot wildlife, experience the elephants, and relaxing at a comfortable resort. This Best of Nepal tour perfectly mixes adventure and cultural exploration with relaxation. Featuring multiple days of trekking through the Annapurna foothills, you will start in the Kathmandu Valley before flying to Pokhara to begin the trekking portion of the itinerary. Discover Gurung villages and ancient temples and feed elephants and safari in the Chitwan National Park. This multi-activity tour combines adventure with villages, wildlife, and relaxation. You'll explore Kathmandu, visit the beautiful village of Namobuddha, as well as the Pokhara Valey for a multi-day trek through the Annapurna foothills. 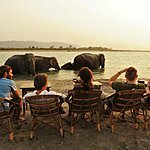 Along the way, take in a rafting adventure on the Seti River before spending a day with elephants and going on a jungle safari in the famous Chitwan National Park.